Berry Bros. & Rudd won 3 awards at the 2014 International Wine Challenge. Including Specialist Merchant Of The Year En Primeur, Large Independent Of The Year and the top award Wine Merchant of the Year. The judges' verdict for Wine Merchant Of The Year was "Berry Brothers & Rudd is all about excellence. This quintessential wine merchant excels in terms of buying, selling, strategy, execution, education and communication." Berry Bros. & Rudd won 2 awards at the 2013 International Wine Challenge - Specialist Merchant of the Year for Rhône & Spain. Both trophies are in recognition for the work our Master of Wine, Simon Field has put into building the selections for these two regions over the past two years. It is the first time we have won the award for Spain. Additionally, this is further testament to our extended authority beyond our traditional strengths of Bordeaux and Burgundy. Berry Bros. & Rudd was recommended as one of the 'Ten wine apps to help you buy the perfect bottle' by The Guardians David Williams. "Founded in 1698, and still running its original atmospheric shop and cellars in London's St James's Street, Berry Bros & Rudd may be one of Britain's oldest traditional wine merchants, but it's always been quick to adapt to technology. Its content-rich website is a considerable cut above most of its rivals, and its app is no less impressive, allowing you to search through its vast list of 2,000 bottles from around the world (it's particularly strong on the European classics). Tasting notes are informed and informative, and there's some slick extra content in the shape of blogs by the company's erudite buyers and a video wine course." Berry Bros. & Rudd was recognised as one of Time Out's best shops in London in 2013. Timeout says it has "highly knowledgeable staff and consistently high-quality wines." 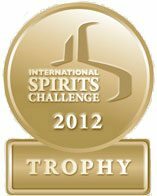 No.3 Gin won the ultimate Trophy Award in the Gin Category at the International Spirits Challenge. This is the highest level of recognition at the ISC and we were up against other Gold medal winners. In 2012 Berry Bros. & Rudd's commitment and innovation in education received recognition, winning the International Wine Challenge award for Wine Educator of the Year. Find out more about Berry Bros. & Rudd's Wine School courses. In June 2012 bbr.com appeared in the The Independent's list of the 10 best online wine shops. "Wine merchants to the gentry since 1698. Its strength is its range: it has bottles at less than £5 (in 24-bottle cases) and it has bottles at 100 times that." In January 2012 Berry Bros. & Rudd's Wine List App recently featured in the Sunday Times list of the 500 best Apps in the world. In September 2011, Berry Bros. & Rudd were crowned Bordeaux Specialist of the Year at the 2011 IWC Awards and also shortlisted for Italian Specialist and Direct Merchant of the Year. In April 2011 BBR added to its collection of Awards - but this time in its new guise as Publishers! Jasper Morris' MW Inside Burgundy wine book won the André Simon Award for the best wine book of 2010, beating off considerable opposition. In September, Berry Bros. & Rudd were crowned Bordeaux Specialist of the Year at the 2011 IWC Awards and also shortlisted for Italian Specialist and Direct Merchant of the Year. For the second year running Berry Bros. & Rudd have been awarded the Whisky Magazine medal for Independent Bottler in the Icons of Whisky Awards 2011, recognising the exceptional achievements of its Whisky Buyers in offering the whisky lover something different from their favourite distillery.Browse our award-winning selection of whiskies. Berry Bros. & Rudd was also shortlisted for Decanter 2010 Wine Merchant of the Year Award. "Berry Bros. & Rudd has moved ahead of the field in online retailing with its enthusiastic embracing of the interactive potential of the internet. Wine Buyers regularly send Twitter updates...and it has one of the most informative and entertaining wine blogs around, plus regular You Tube and Flickr library updates..."
In 2009 Berry Bros. & Rudd stole the show at the International Wine Challenge picking up the most coveted title of Wine Merchant of the Year – seeing off contenders including Marks & Spencer and Majestic. "Berry Brothers really don't have any weak points. They have a great website, great education, a great wine list, superb buyers and a great marketing department. They’re investing in all aspects of their business. They've opened up in Japan and Hong Kong. And they focus on quality without sounding snobby." As well as the top accolade, Berry Bros. & Rudd was also crowned Direct Wine Merchant of the Year, En Primeur Merchant of the Year and Rhône Specialist Wine Merchant of the Year. A successful award-winning week also saw Berry Bros. & Rudd awarded Decanter’s Online Wine Merchant of the Year. Read more on what Decanter said in awarding this accolade. In September 2009, Whisky Magazine judged Berry Bros & Rudd Independent Bottler of the Year 2010 at the prestigious Icons of Whisky awards. This is tremendous recognition for the passion and experience that our Whisky buyers bring to the business of sourcing and endorsing Scotch Whisky in the name of BB&R, as well as to the skill and innovation they add in creating exceptional bottlings. In 2008, Berry Bros. & Rudd was voted the Best Online Retailer in the Decanter World Wine Awards and Best Burgundy Specialist in the IWC awards. The Decanter judges noted that "the web-site is a Disney store for wine-loving grown-ups" and that it is "continually re-inventing itself... Berry Bros. & Rudd's online product is an inspiration"
Jane Macquitty (The Times Magazine, 13th September 2008) writes that three centuries of supplying wine to royalty has made BB&R an establishment name. "Don't let that put you off: BB&R now offers one of Britain's best online wine services, a wine club and school, plus tasting dinners and more. Quality has risen and prices slimmed down, with some sound own selection buys starting at sub-5, on up to the best of Bordeaux and Burgundy. Impecunious drinkers should make a trip to Berry's Basingstoke warehouse, which has a permanent, 25% off bin-end sale." In 2007, Berry Bros. & Rudd was awarded International Wine Challenge Regional Wine Merchant of the Year (London), Online Merchant of the Year and for second consecutive year, Whisky Retailer of the Year by the Icons of Whisky. In September 2006, Berry Bros. & Rudd was named Independent Wine Merchant of the Year at the Decanter World Wine Awards. Whisky Magazine named Berry Bros. & RuddWhisky Retailer of the Year in the Icons of Whisky Awards. In 2006, International Wine Challenge picked up the most coveted title of Overall Wine Merchant of the Year. Regional Merchant of the Year - London. Berry Bros. & Rudd was listed in the 2003 Time Out Shopping Guide, describing London's best shops and services. In April 2003 Berry Bros. & Rudd featured in The Sunday Times Profit Track 100 Supplement listing Britain's 100 fastest profit-growth firms. Forbes.com named Berry Bros. & Rudd as `The World's Best Wine Shop' in November 2002.